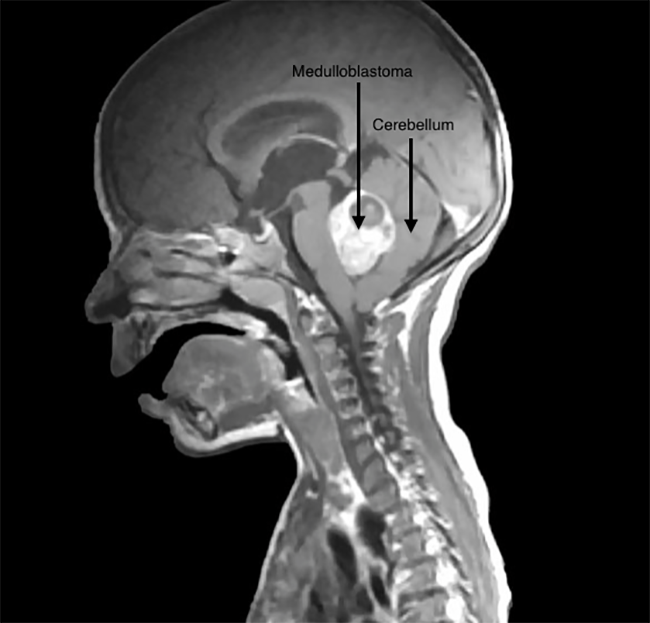 Common brain cancers in children, such as medulloblastoma, have been notoriously difficult to treat therapeutically, with traditional interventions reliant on inefficient surgical techniques to remove the bulk of the cancerous tissue. However now, new data from the University of North Carolina (UNC) Lineberger Comprehensive Cancer Center and UNC Eshelman School of Pharmacy may lead to a more effective way to treat these aggressive tumors. Findings from the new study—published in PLOS ONE through an article titled “Intra-cavity stem cell therapy inhibits tumor progression in a novel murine model of medulloblastoma surgical resection”—demonstrates how cancer-hunting stem cells can track down and deliver a drug to destroy medulloblastoma cells hiding after surgery. In previous studies, Dr. Hingtgen and his colleagues showed that they could flip skin cells into stem cells that hunt and deliver cancer-killing drugs to glioblastoma, the deadliest malignant brain tumor in adults. Now, in this new study, the researchers reported they could shrink tumors in murine models of medulloblastoma—extending the rodents life. The study is a necessary step toward developing clinical trials that would see if the approach works for children. The researchers feel this approach holds promise for reducing side effects and helping more children with medulloblastoma. More than 70% of patients with the average-risk disease live five years on standard treatment, but not all patients respond, and treatment can cause lasting neurologic and developmental side effects. Interestingly, the investigators showed the natural ability of the stem cells to home to tumors and began studying them as a way to deliver drugs to tumors and limit toxicity to the rest of the body. Their technology is an extension of a discovery that won researchers a Nobel Prize in 2012 and showed they could transform skin cells into stem cells. The research team began by reprogramming skin cells into stem cells, and then genetically engineered them to manufacture a substance that becomes toxic to other cells when exposed to another drug, called a “pro-drug.” Inserting the drug-carrying stem cells into the brain of laboratory models after surgery decreased the size of tumors by 15 times and extended median survival in mice by 133%. Using human stem cells, they prolonged the life of the mice by 123%. Amazingly the researchers also developed a laboratory model of medulloblastoma that allowed them to simulate the way standard care is currently delivered—surgery followed by drug therapy. Using this model, they discovered that after surgically removing a tumor, the cancer cells that remained grew faster. The researchers noted that there is a need for novel treatments of medulloblastomas that have come back, or recurred, as well as for treatments that are less toxic overall. The ability to use a patient's own cells to target the tumor directly would be “the holy grail” of therapy, the investigators believe it could hold promise for other rare, and sometimes fatal, brain cancer types that occur in children as well.